Autonomous Systems are Human Systems. 24 Oct Autonomous Systems are Human Systems. The trend in thinking around digitalisation for maritime, points to a desired future where people are removed from vessels at sea and fully autonomous machine systems instead traverse the oceans, for the sake of asset reliability, human safety, and ultimately, economic prosperity for organisation. While this future unfolds, we as practitioners and participants of the maritime industry still have roles to play in the transition; and surely also in future roles yet to be defined. 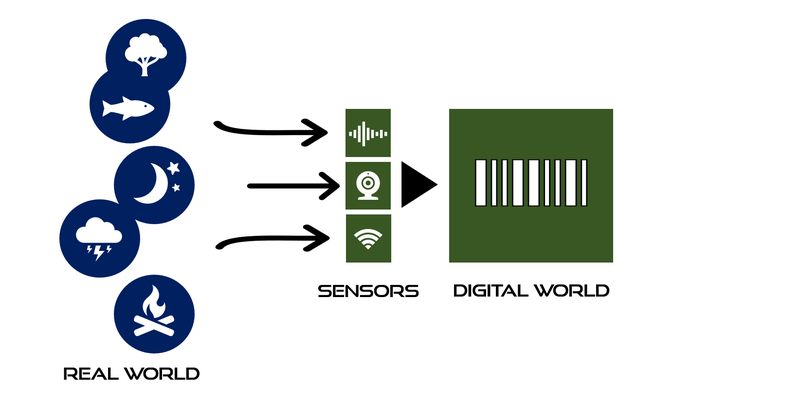 In this future dream, a Digital World exists where data is perceived by sensors linked to other sensors, processors, and storage devices in a multi-layered network where time and distance are currency. This world is the one of data; indisputable, measurable facts communicated through machine-code. But the practitioners and participants of this industry, since we are human beings existing in the Real World, cannot directly engage with machines on this level because we are socially structured rather, toward information and knowledge, tailored to our hodgepodge of perceptions and aspirations as individuals and disparate groups existing in this Real World. The practical difference then, between these two Worlds, is the understanding of the difference between Data and Information. Let’s describe Data as the undisputed facts sensed from the Real World and Information as the usefulness we as Humans prescribe to that Data through deconstructing and reconstructing these ‘facts’ to suit our particular Worldviews and requirements. From this view, it can be seen that data passes through Cognitive Filters before it can be called useful Information for human consumption. And herein lies the problem. Data is of no use to humans and their systems unless transformed into Information and later, Knowledge. But before we delve into the problem, lets expand this model to include a step between Data and Information, which we can call Capta (Checkland 1982), or the collation and categorising of select data. 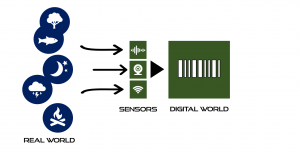 Capta, is really where the Smart Technology lies; software, edge computing, algorithms, digital models, etc. But Capta is not immune to Cognitive Filters, it’s just that new-to-industry players are being added to the social pool of participants. In the Digital World, Cognitive Filters are things of bias and do not stand up well to the hypothesis-testing model. They are interpretive in nature and simultaneously specific and fluid to individuals and groups and is what we mean by the term Culture. Of course, we could argue that Cognitive Filters exist at the sensor level too, by virtue of those who design, manufacture and install them. While the trend may point to removing humans from the equation, the reality is vastly different. Humans must play a pivotal role both in managing the transition and ultimately in the autonomous systems of the future, if dependability is a desired outcome.